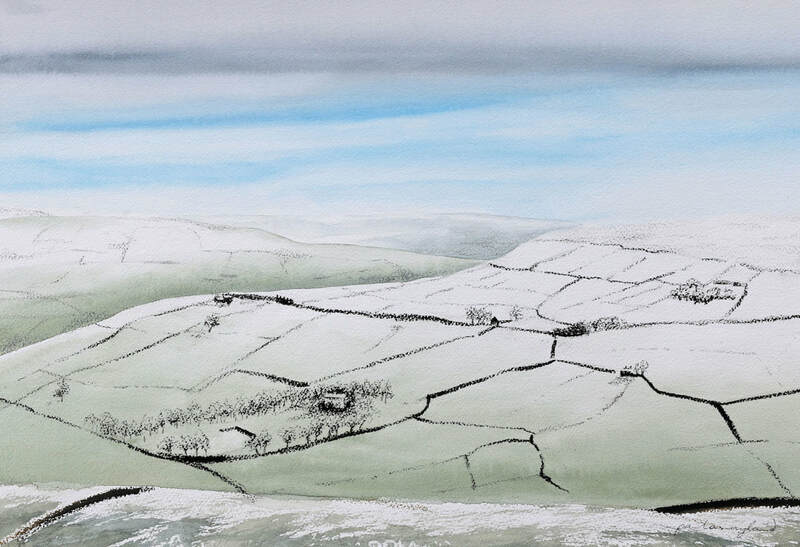 These steep sided valleys of the Southern Pennines create a temperature gradient which on a cold winter's day is mirrored in a colour gradient - green to white. And some days that transition from green fields to white snow is so perfect, so beautiful. Yes, I really like this one!